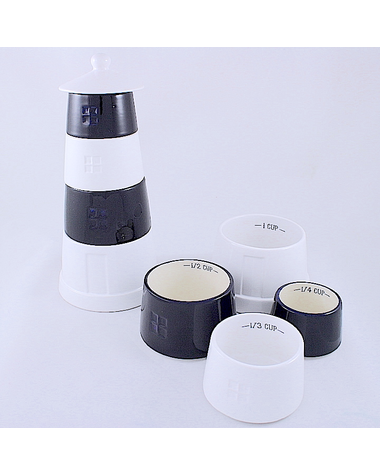 Your measuring cups will all be at the ready, because they will be right on top of the counter and in a nautical presentation. 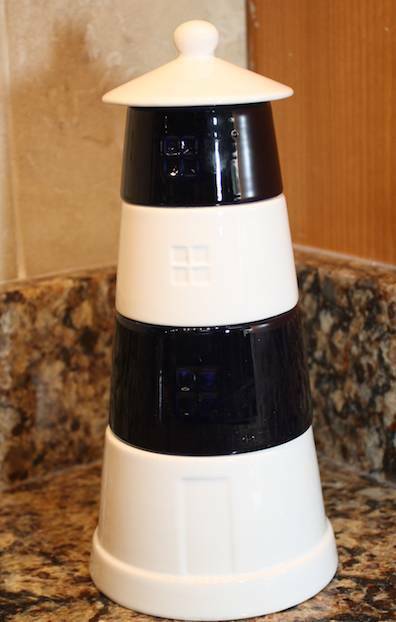 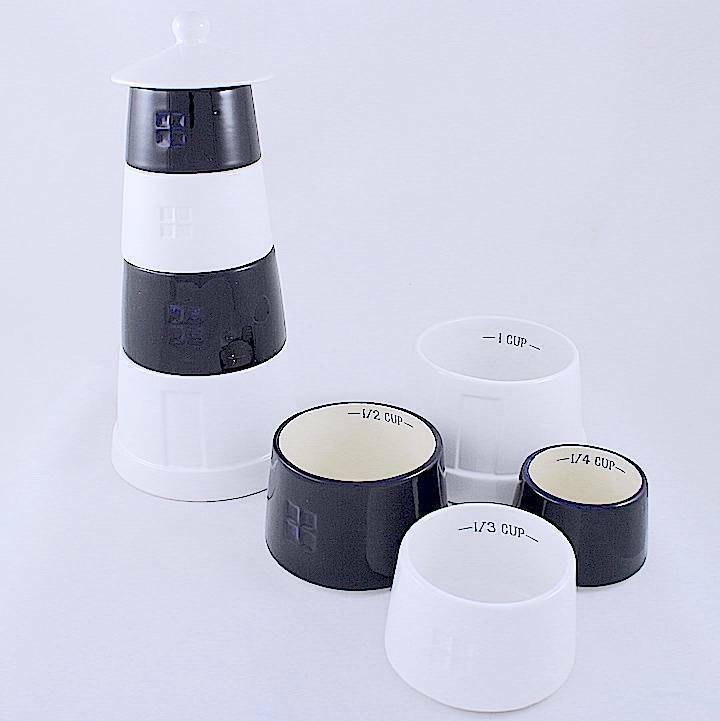 This set of four measuring cups stack to form a unique lighthouse, which smartly hides their true identity. 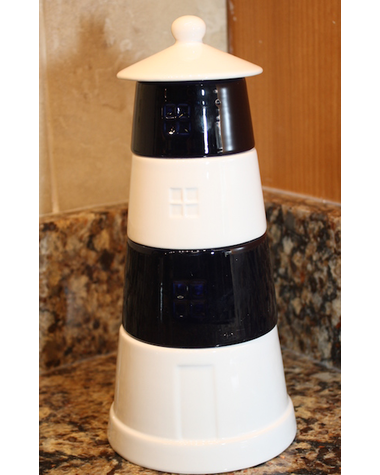 Stacked, the "lighthouse" measures 9 inches, so it can be fashonably concealed in plain sight.